A New Hampshire doctor in practice for 55 years says she has had her medical license suspended because she does not use a computer. Dr. Anna Konopka runs a small doctor's office in New London, where she not only sees patients, but also takes her own phone calls and does her own paperwork. 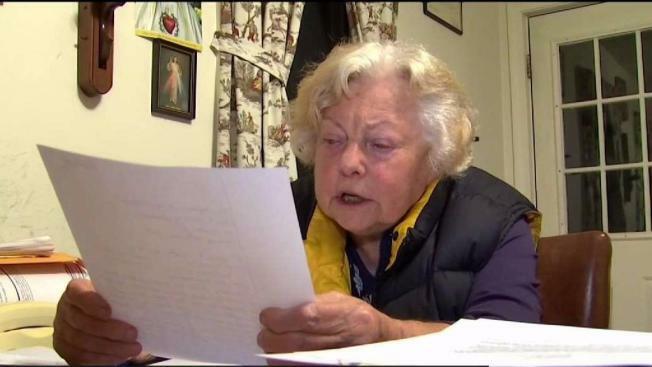 She says she's had a spotless record for five and a half decades, but last year, when a patient logged a complaint with the New Hampshire Board of Medicine, she says it sparked a full-on investigation, resulting in her medical license being pulled. The board told Konopka if she didn't sign a voluntary surrender of her license effective Oct. 13, they would force her to do so immediately, the 84-year-old doctor said. The allegations against her include poor record-keeping, prescription practices and medical decision-making. Konopka says it's all nonsense. "I'm not going to compromise patients' health for the system," she said. Konopka doesn't use a computer and doesn't believe in practicing medicine purely using guidelines. She argues everyone is different, and that her treatments are catered to each individual patient. Her license is up Oct. 13. She has a hearing on Nov. 3 to try and get it reinstated, and she says her patients are already pleading to be at the hearing.